Sounds like a fab gift to give the other half. Always have supported Hugo Boss so I am sure this aftershave will be a winner for us too. I think my husband would enjoy this scent, I for one would with the hint of lavender and combination of ginger. 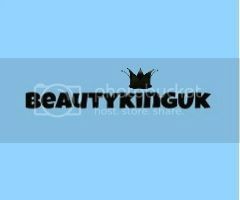 I would like to personally congratulate you as your blog Beautykinguk has been selected by our panelist as one of the Top 20 Male Beauty Bloggers List on the web. I personally give you a high-five and want to thank you for your contribution to this world. This is the most comprehensive list of Top 20 Male Beauty Bloggers List on the internet and I’m honored to have you as part of this! You can always tell you are onto a winner when other people comment on how good you smell around the office! This sounds like a beautiful aftershave and I feel the need to head to Debenhams and give it a smell! My husband loves Hugo Boss perfumes, but I don't think he's tried this one.